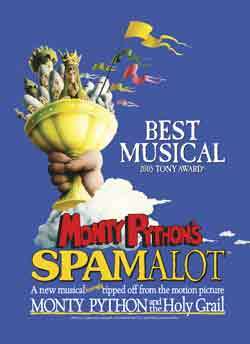 Stars of the musical Spamalot including Jodie Prenger and Todd Carty are to switch on Brighton’s Christmas Lights on Wednesday November 16th at 5:30pm in East Street. The Monty Python musical is playing at Brighton’s Theatre Royal over the festive season with Marcus Brigstocke playing King Arthur, Jodie Prenger as the Lady of the Lake and Todd Carty playing Patsy. A brand new Christmas lights scheme for the newly extended city centre Business Improvement District will be unveiled by Spamalot with the help of Juice FM, the cast the Brighton Gay Men’s Chorus and some very special guests.